Our flower and terrarium workshops are an excellent way to learn a new skill whilst enjoying time with family, friends and colleagues. We have designed our flower and terrarium workshops to be a space where you can relax and increase your green-fingered knowledge. At the end you will take away something very special and unique that you have crafted during your time with us. Each class is designed to be suitable for all age groups and events – hen dos, birthdays, proms, team building and more. We are flexible with our approach, and happy to take private bookings. Geometric workshop at Urban Jungle (Costessey, Norfolk) including tea/coffee and cake. 10am – 11.30am. Terrarium Workshop at Ber St Kitchen including a glass of booze & snacks. 5.30pm – 7pm. Spring Flowers Masterclass – 10am at Urban Jungle Norfolk (Costessey) including refreshments. Double Trouble Terracotta Pot Floral Workshop – 10am at Urban Jungle Norfolk (Costessey) including refreshments. The Flower Box Masterclass Floral Workshop – 10am at Urban Jungle Norfolk (Costessey) including refreshments. Late Summer Dried Flowers Workshop at Urban Jungle Norfolk (Costessey) including refreshments. Introduction to Autumn Blooms Workshop – 10am at Urban Jungle Norfolk (Costessey) including refreshments. Halloween Floral Pumpkin Workshop at Urban Jungle Suffolk (Beccles 10am) and Urban Jungle Norfolk (Costessey 1.30pm) including refreshments. Floral Urn Winter Workshop – 10am at Urban Jungle Norfolk (Costessey) including refreshments. Luxury Christmas Wreath Workshop at Urban Jungle Norfolk (Costessey) including warm spiced cider and cake. 10am – 12pm. Luxury Christmas Wreath Workshop at Urban Jungle Suffolk (Beccles) including warm spiced cider and cake. 10am – 12pm. Luxury Christmas Wreath Workshop at Urban Jungle Suffolk (Beccles) including warm spiced cider and cake. 1pm – 3pm. Luxury Christmas Wreath Workshop at Urban Jungle Norfolk (Costessey) including warm spiced cider and cake. 1pm – 3pm. Christmas Table Centrepiece Workshop – 12m midday at Urban Jungle Norfolk (Costessey) including hot mulled cider and a small bite to eat. Over 2 hours you will create your very own traditional plant filled terrarium – a unique environment within a glass demijohn vessel which you can take home and keep. These fascinating biospheres have a history dating back to the Victorian era and require very little aftercare. We provide all the elements needed, including 2 plants, moss and decorations. Workshops are held at various locations in East Anglia, alternatively you can organise for us to bring everything to your home or workplace for a crafty event with your friends, family or colleagues. 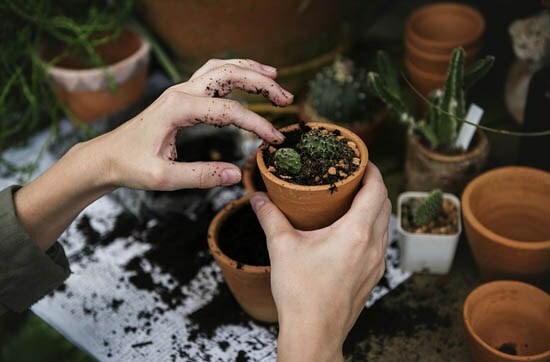 Over 1.5 hours you will create your very own succulent and cacti terrarium – a unique environment within a geometric glass vessel which you can take home and keep. We provide 3 plants (cacti, succulents or air plants), coloured sands and other decorative objects such as precious stones or crystals, for you to make your masterpiece. These stunning ‘mini’ environments make a wonderful addition to any windowsill, or can be used as table centrepieces, so why not get your hens to make them during a private workshop? Workshops are held at different venues throughout East Anglia, or we can come to your home and conduct a workshop – perfect for a crafty hen do, birthday party or other gathering. Flower crowns are one of the prettiest and most delicate floral designs. They make a great statements piece for a wedding, festival, birthday party or other event. We can come to your location of choice with colourful flowers and exotic foliage from which you can craft your own floral crown. Get the girls together before a festival or night out, entertain the kids or simply enjoy making something beautiful. Workshops are held at your home or location of your choice within East Anglia. Gather your friends for this fun filled workshop where you can create your own corsages, buttonholes, flower crowns or even flower shoulder piece for prom. 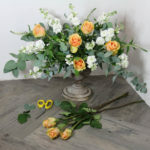 We will come to your location of choice and teach you how to make one of these items using fresh, colourful flowers which can be styled to suit your outfits and colour themes. Perfect for the guys, the gals.. or a mix of both! 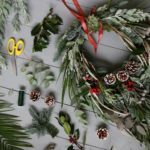 With Christmas fast approaching, it’s time to start thinking about workshops to create festive wreaths, table centrepieces and other seasonal items. We are serious about keeping our plastic footprint as small as possible, so you’ll find our Christmas workshops contain real pine cones, dried oranges, cinnamon sticks, fresh foliage, cotton ribbons and other natural items. A great way to get together with friends, family and colleagues whilst creating something memorable for your home. Calling all hens and stags! Why not get your bridesmaids and groomsmen to take part in a laid-back evening of crafting, where the final result is the table centrepieces for your big day? We can source a variety of pots/vessels along with fresh flowers which match your theme. We will guide you on how to create your perfect table decoration and get everyone involved in making your day even more unique. Demijohn workshop at Urban Jungle (Beccles, Suffolk) including tea/coffee and cake. Geometric terrarium workshop at Urban Jungle (Beccles, Suffolk) including tea/coffee and cake. 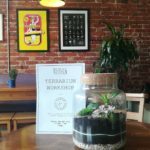 Demijohn terrarium workshop at Urban Jungle (Costessey, Norwich) including tea/coffee and cake – starts at 9am. Demijohn workshop at Urban Jungle (Beccles, Suffolk) including tea/coffee and cake – starts at 10am. Geometric terrarium workshop at Urban Jungle (Costessey, Norwich) including tea/coffee and cake – starts at 9am. Christmas wreath workshop at Urban Jungle (Beccles, Suffolk) including a festive glass of warm spiced cider and cake. 10am- 12pm. Christmas wreath workshop at Urban Jungle (Beccles, Suffolk) including a festive glass of warm spiced cider and cake. 12.30pm – 2.30pm. Christmas wreath workshop at Urban Jungle (Costessey, Norwich) including a festive glass of warm spiced cider and cake. 10am – 12pm. Christmas wreath workshop at Urban Jungle (Costessey, Norwich) including a festive glass of warm spiced cider and cake. 12.30pm – 2.30pm.